Welcome to Maurice's Kooma Love Tarot page. 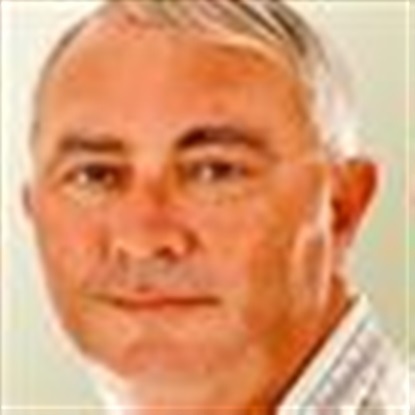 My name is Maurice I am a Psychic Clairvoyant and use my skills to guide people through their lives. I specialize in using the Tarot, Angel cards, astrology and as a medium to give clear, honest, concise and open readings. I have many spiritual skills developed over many years. I am a psychic clairvoyant, medium, spiritual healer and astrologer. I have studied long and hard to understand the spiritual side of life, and how it fits into life in general, all major religions have spiritual beginnings. I would say my main skills are in Tarot, I belong to several organisations, and am constantly surprised by the insight it gives me. Although Tarot did not come to the western world until 1367, it has its origins way back into the mysteries of time in other cultures and faiths, it is even accepted by the catholic faith, and past popes had their own Tarot readers and astrologers. The word Tarot comes from the royal road to wisdom and it remains so today. I demonstrate my skills by phone, email and texts; I also do live shows around the country to demonstrate my skills and to help people. I am a psychic clairvoyant, medium, spiritual healer and astrologer. My readings are open, honest, concise and clear, to give guidance on what is happening around you in life and lead you into paths that can help enhance your life. I can tackle any difficult and personal issues discreetly and with trust, knowing that having earned that you will always come back to me. I have been psychic form a very early age, leading me to develop this, and study a degree in religion, where I was able to learn more about spiritual faiths and increase my learning, coming out with a degree. My path, following my guides, then I took a different path. I had an extremely successful career in the police, working with several forces across the country, sometimes on very major investigations, before injury forced me to rethink my goals in life. I was talking a very well known Psychic medium . The instant I started talking to her spotted my ability and told me my path was laid out as a psychic. I went to bed thinking about it, I had a dream I was in a temple, and before me was the Indian god Ganesh, - the god of learning and wisdom, my path was set. I give live demonstrations of my skills and worked full time for several years now. I do healing sessions, and do a lot of charitable work to give back what spirit gives me. I talk to people via the phone, emails and texts, and the vast majority of my clients, who I regard as part of family, have been with me for several years. I have several memorable experiences, I remember one lady who ran crying from a show, I spoke to her calmed her down, I had just given her the name of her grandfather and what he had done to the family, but I was able to release the hurt in her, and finally get her on the path to happiness again. Giving joy and hope to people is my greatest asset. I delight in working for Kooma, our reputation says it all. I use them as a guide to focus on love, the problems of love, and the solutions of love, love lost and love to be regained. A very good reading. Helped me relax and lighten up. Spot on so many things predicted re work travel and the man is toeing the line.. wasn’t sure when Maurice said good things to come but he is right everything is working itself out in a very positive way. Thank you for listening .. always . One of the best instant message readers. Doesn't waste time asking lots of questions and using time up with generalisations. Also, very accurate in situation and energy around the OP. Marice's messages are quick, lengthy in content and have detail. Sorry that it ended so abruptly, ran out of balance, but thank you for your help. I am a powerful psychic clairvoyant working with your guides and mine, I will give you a precise and uplifting reading. Artemis will call you straight back to save you the hassle of phoning in and choosing them via the menus. The charges for this service are the same as if you call the freephone number.